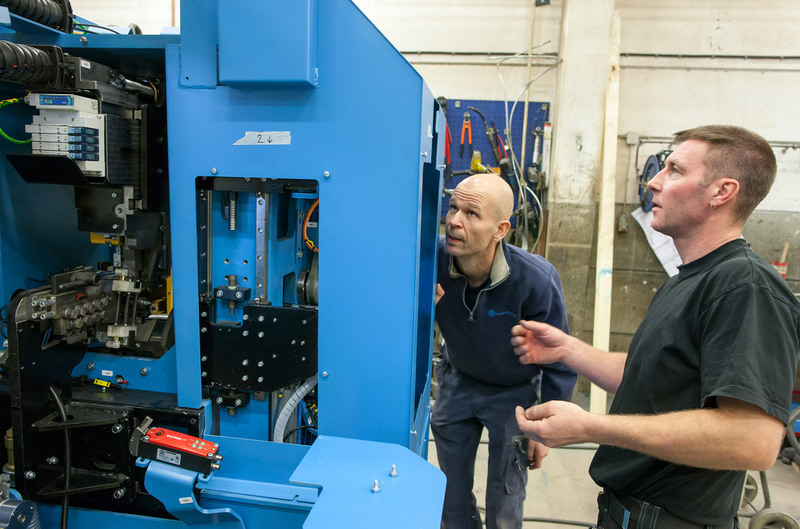 Our mission is to build high-quality, innovative and efficient machine solutions with maximum user-friendliness and high levels of customization for maximum benefit and profitability for our customers. We can manufacture a wide variety of technological advanced machines for different wire types - from small single machines to complete lines. We are in control over the entire production chain and take responsibility for EVERY part of the machine! Electrical design, programming, manufacturing of the machine and control cabinet assembly is all done on-site in Sweden. We live our slogan “A passion for service”. Lämneå Bruk takes pride in offering excellent customer service before, during and after sale. You have an idea? Tell us and we will turn it into the best solution! If you are looking for knowledgeable, experienced and reliable business partners, contact our Lämneå Bruk sales team. Do you have any specific requirements for your business operation? Please contact our dedicated sales team for more information.